This volume contains three works by the famous US black, lesbian poet and academic, Audre Lorde. 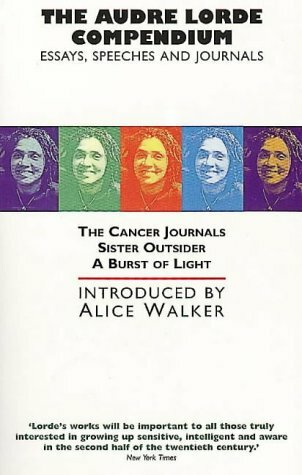 Both The Cancer Journals and A Burst of Light give an insight over a ten year period of her life with cancer. Sister Outsider continues her writing and documents her essays and speeches. Lorde, Audre: The Audre Lorde Compendium. Essays, Speeches and Journals. The Cancer Journals. Sister Outsider. A Burst of Light. Introduction by Alice Walker, London 1996 Lorde, Audre: The Uses of Anger: Women Responding to Racism, in: Dies., The Audre Lorde Compendium. Essays, Speeches andJournals.